A Jack, I’m so happy you wrote. One, please know you aren’t alone in your struggle. And two, it doesn’t have to be so complicated or hard. The key is to make it fun and keep it simple. When you do, running becomes a habit for life. I’m going to share a learn-to-run strategy that is so simple, I could even do it. This is how I learned and how I’ve coached newbies for years. It doesn’t involve intervals, speed, calculations, or big words. It is based solely on your body and how it responds to running. In fact, it’s a plan that is customised to you, because it progresses when your body is ready to do so. Mark three months on your calendar and schedule a running workout three times per week, every other day (i.e. Monday, Wednesday, Saturday). Commit to thirty minutes. No more, no less. Warm up five minutes. Start every running workout with five minutes of walking to prepare your body for the demands of running. 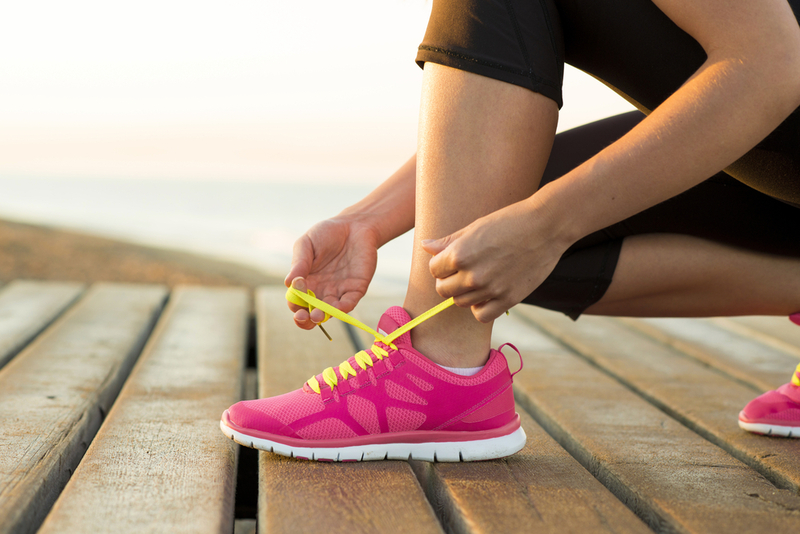 Start out at an easy effort and progress to a purposeful walking pace by the end of the five minutes. Run and walk by your body. Alternate running until you hear your breath, and walking until you catch your breath for a total of 20 minutes. No formulas or intervals – run by your body and breath. If you’re like me, you may start out with 15 to 20 seconds of running and 2 to 3 minutes of walking until you catch your breath. No worries. That may be where your body is at fitness-wise right now. Go with it, tune into your body, and avoid pushing to go longer. The next workout may be close to the same as well. But a few weeks down the road, that 15 seconds will grow to 30 or 45 seconds or even a minute, and the time it takes to catch your breath will drop. That’s when it starts to get fun, because you feel the difference as you go. Finish happy. Let’s face it: If it hurts, the chance of us repeating the activity again are slim to none. When you stick with a plan that is based on your body and avoid pushing for a certain time or pace, you end up finishing happy. And when you’re happy, you want to do it again and again. Running happiness leads to consistency and develops into habit. Be the tortoise, not the hare. Keep your running effort easy – this will become habit over time. In other words, don’t try to break the world record out there, keep it easy and one step above your fastest walking pace. Finish with a five-minute coo-ldown. Invest five minutes to cooling down and gradually bringing your body back to its resting state. Like the warm-up, it bridges the gap between running and reality and aids in the recovery process. Run to infinity and beyond! As the weeks go by, you’ll notice being able to run longer and cover more distance. Eventually you’ll be able to run all twenty minutes! When that day comes, give yourself a high five, and begin to progress your running time by adding five minutes to your workout every 2-3 weeks. For instance, running 25 minutes three times per week for 2-3 weeks and then progressing to 30 minutes. You can also add five minutes to one or two of the workouts per week and take your time as you progress. Tune into your body along the way. It’s the best coach you’ll ever have. This entry was posted in Beginner. Bookmark the permalink.